There is no democracy and election without voters…. voters are the democracy. A democratic government cannot usurp democracy by removing voters from the democratic process, that will be akin to removing stew from rice but i digress..
Access to a voters card should not stop a willing person from casting a vote especially if the voters card are issued by the same government the voters may want to change. Nigerians must not accept any narrative that without a PVC they cannot vote…..PVC is simply a tool to be used by the “regulator”, it cannot deny the right to vote,…As long as the voter can identify himself with any other Federally issued photo ID, then he/she must be allowed to vote. INEC has failed to register willing Nigerians, it is their fault not the fault of the willing Nigerians…thus they must find other means to get a body of date and integrate to ensure every willing Nigerian votes. What is to stop a political party from winning an election by simply restricting PVC access to opposition areas? that is called vote suppression and is the same as ballot snatching. INEC argues data collection via the PVC ensures the integrity of the voters roll and voting process, this is a correct view, but INEC has had 3 years to register voters, with an oil funded budget. The problem really is not data collection but data integration. Nigeria has tons of data collected by the private and public sector….the data collected has to be accurate because the data owners use them for income collection..Why for instance can INEC not send voters cards to employees based on their PAYE or land use payments data? no one has a false address on PAYE and Land Use because the person paying want to prove they actually paid. INEC should have also focused on seeking for data she could integrate into her own data and sending out digital registration via cell phones, this would have reduced the process and time to register. 4. INEC gives JAMB access to print out PVCs by matching details on last JAMB forms to desired location to vote based on data on Jamb forms. we can go on…find a body of verifiable date, give that institution the ability to match a unique identifier in their data with INEC data and issue a card, digitial or hard copy. 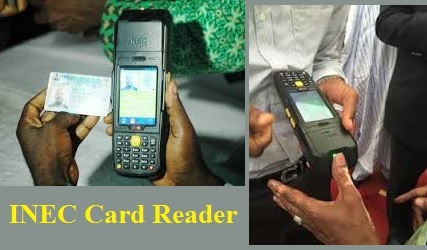 If possible send digital card that the voters can simply print out or show at polling booths, heck we carry digital ATM cards on our phones, why not INEC cards? I want to vote, INEC must make it possible. It is my right….it is not a request. These are very possible and practicable solutions. But our people in inec aren’t dafts. They understand this. Fact is they may be looking the other way pulled by the countervailing force of institutional corruption, by arrogating all to themselves. This sort of idea should receive wider push from CLO and CSOs. A forward thinking president will be happy to advance this sort of measures, given the sacred place of voting in any democracy.